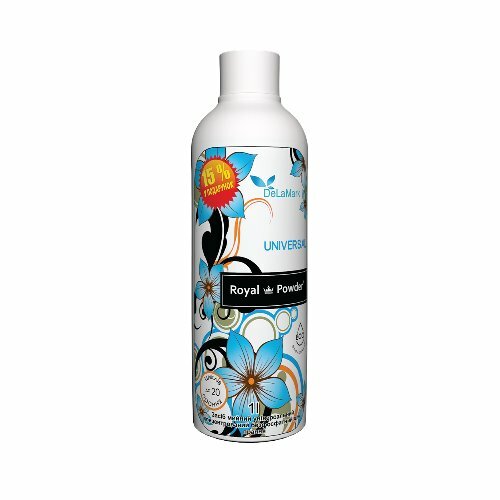 Ukrainian household care brand Royal Powder presents Universal Liquid Laundry Detergent. This is a phosphate-free product that easily removes all kinds of stains, making the clothes flawlessly clean. 100% safe for human health and the environment. Suitable for colours and whites, as well as for washing baby clothes. Royal Powder’s liquid detergent is a great alternative to washing powder. It is formulated with effective and eco-friendly surfactants that help to get rid of various kinds of dirt, including tea, coffee, blood, sweat, grass, food, oil, grease and make-up stains. They don’t damage the fabric, keep colours from fading, and remove persistent stains from the collar and cuffs. Thanks to its low foaming formula, the product is easy to rinse off and doesn’t leave any residue or strong smell. It is hypoallergenic and can be used to wash children’s clothing (aged 1 or older). Thanks to its highly concentrated formula, the detergent lasts long and helps to save your family budget. 1 bottle is enough for about 20 loads of laundry. Universal Liquid Laundry Detergent by Royal Powder can be used to wash cotton, linen, synthetic and mixed fabrics. It is suitable for both hand and machine wash, as well as for soaking. Compatible with all types of washing machines. Prevents limescale. Eco-friendly. Safe for children and allergy-prone people. 98% biodegradable. Safety confirmed by the Green Crane ecolabel on the bottle. Cautions. Keep away from children. Avoid contact with eyes. In case of contact, rinse with plenty of water. In case of ingestion, seek medical attention. Directions. Use 35–120 ml product per 4-5 kg laundry, depending on the degree of soiling and the hardness of water. Average dosage 75 ml. 1 cap = 35 ml. Ingredients. Water, Anionic Surfactants, Non-Ionic Surfactants, Complexing Agent, Sodium Carbonate, Urea, Sodium Polycarboxylate, Parfum, Preservative, Optical Brightener, Food Coloring. Want to buy Universal Liquid Laundry Detergent? Call us or submit your order via our web site! Royal Powder is a Ukrainian brand of phosphate-free laundry detergents and fabric softeners owned and produced by DeLaMark. The company was founded in 2008 as an importer of Japanese laundry detergents, started producing its own products a year later and launched the Royal Powder brand in 2010. All products manufactured by DeLaMark are based on safe, plant-derived surfactants that don’t pose any danger to human health or the environment. They are free of phosphates, phosphonates, zeolites, chlorine, SLS/SLES, parabens, and other potentially irritating or hazardous ingredients. Royal Powder laundry detergents and fabric softeners are 98% biodegradable and ISO 14024 certified. Alongside laundry products, DeLaMark offers a great selection of household cleaners for all kinds of surfaces, as well as personal care products (shower gels, shampoos, liquid soaps). They will help to keep your house clean and your family healthy even if you’re on a tight budget.